Since I started running, I've run quite a few brands - Nike, New Balance, Saucony, Mizuno, Brooks, Asics, Altra, Under Armour, Reebok and most recently Topo Athletic. Each shoe is very different from the other and many are great for one purpose while another one might be great for another purpose. I have my short, fast run shoes, my long slow trainers, my racing shoes, trail shoes, cross fitness shoes, and half marathon/marathon shoes. One might say I have become shoe obsessed. I definitely cannot dispute that. The one brand that I have not run in (until now) is Skechers. And when I think of Skechers, I think of kid light up shoes or those shoes that promise to tone your legs while you walk. To be honest, it's hard to get past the name. But let's just remove the name from the whole scenario. Let's just look at some of the facts about this shoe. 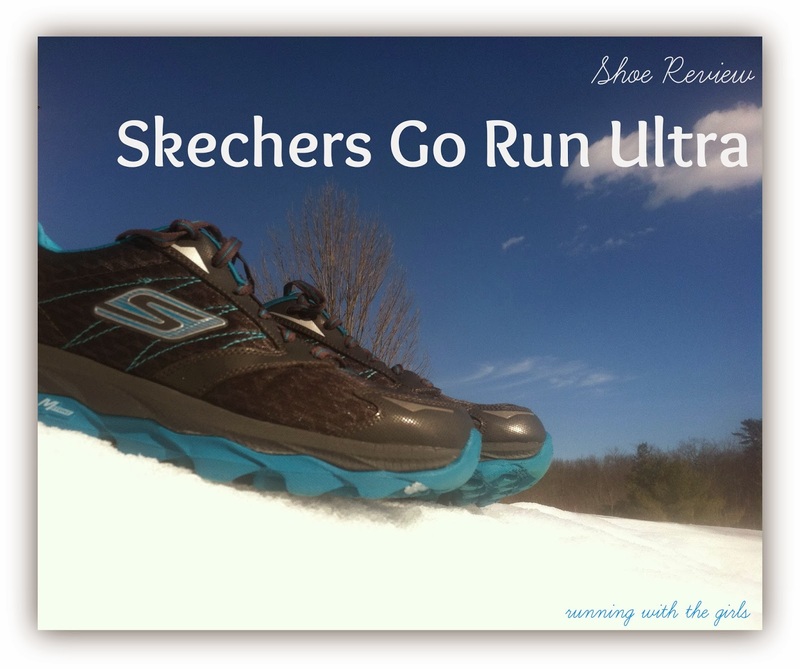 The shoe I'm going to discuss is the Go Run Ultra. This shoe stands out above all the rest. 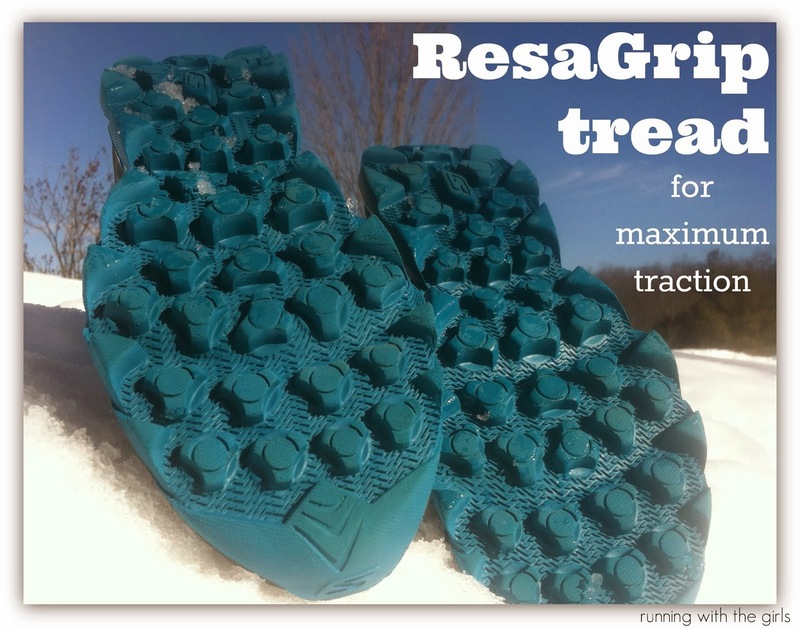 The sole is actually composed of Resalyte that delivers enhanced support and stability. The Resalyte itself is a lightweight, injection-molded compound with memory retention. And the bottom of the shoe is actually a ResaGrip, with is a durable, lightweight, and flexible compound with traction control. I've actually read that the shoe is made with Agion, which is a powerful scent technology built - in to combat odor causing elements. I'm always leery of a shoe that says it won't stink, because I can make all shoes stink. But so far, so good. The upper is contracted with breathable mesh that stretches allowing toes to splay and flatlock stitching for seemless construction for a sock-like fit. The more and more I know about flatlock stitching, the more I like it. It has the stitching on the outside of the shoe and not the inside, so the chances of rubbing are reduced. This is a big one for me. Since dealing with Plantar Fasciitis this past summer, I'm super careful about which shoes I trust my feet to. Most shoes require me to put in my inserts. Which is completely okay with me. That's why I have them. But these shoes have arch supports built right into them. I can feel the curve of the shoe coming up to meet and hug my arches when I slip these on. In the past two weeks I've logged over 70 miles in them with zero arch tenderness/soreness. What the heck is a rocker bottom? When someone says rocker bottom shoe, I think of the toning shoes. But after a little research, I've come to find there are benefits to the rocker bottom shoe. There's a fine line when the rocker is too much. Skechers nailed it. It's just enough of a rocker to roll your body forward, just enough to get you to use the midfoot more. Skechers calls this the M-strike, which basically meanest o promote a midfoot strike. The ultra runs rather a bit big. I am normally a 9/9.5 women's large or 7.5/8 in men's. In the ultra, I'm an 8.5 medium width. The mesh overlay design allows for extra room in the toe box area and allows for the natural splay of the toes. My toes need to splay and these shoes let them. The toe box is roomy enough for my bunions as well. I don't have any pains associated with my bunions at all. 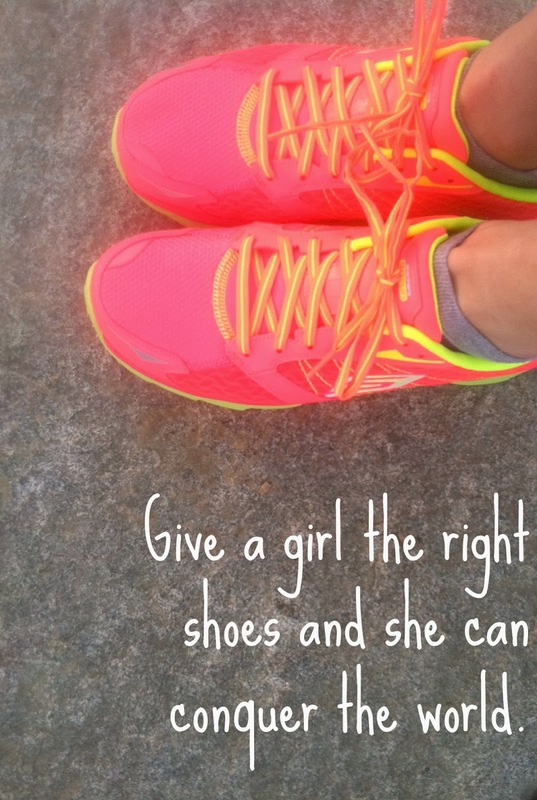 Happy bunions = happy run! At price point for the ultra is $85. That is far below most of the running shoes on the market. I like these shoes far more than some shoes I've spent over $120 on. The women's size 9 weighs 7.1 oz. I'd classify this shoe as a pretty light training with lots of cushion that will also provide you with the quickness for short speedier distances or longer distances. A great all around, all mileage type of shoe. I was a little nervous to try these out for my speed workout last week. 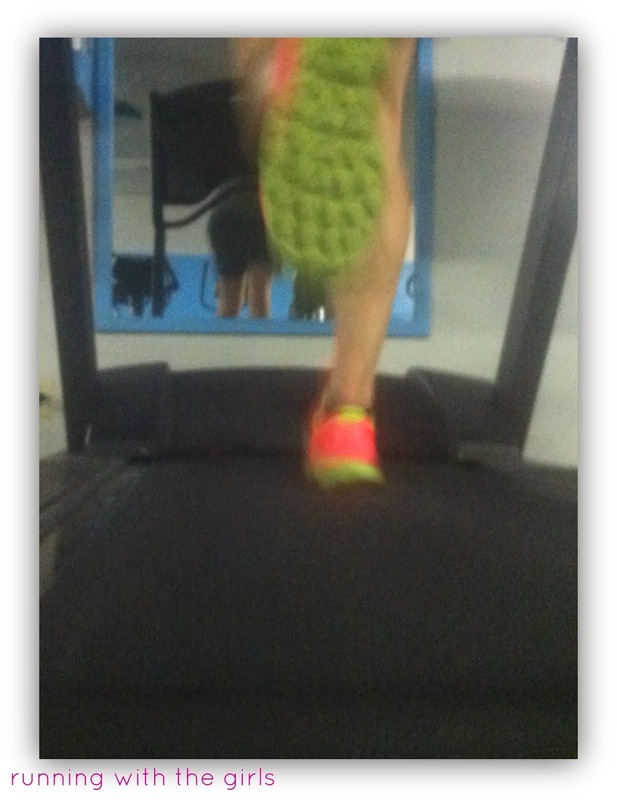 But they responded beautifully to the call for speed and I was able to crank out sub 8 minute miles in them. Which for me, is simply fantastic news. If you've been reading my blog for some time, you know the reason I run is because of my husband. He is the long time runner in the family. He's been running since junior high. And if I must say so, he's a rather talented runner. He had been eying up my Skechers for a while. Touching them, twisting them, rolling them. 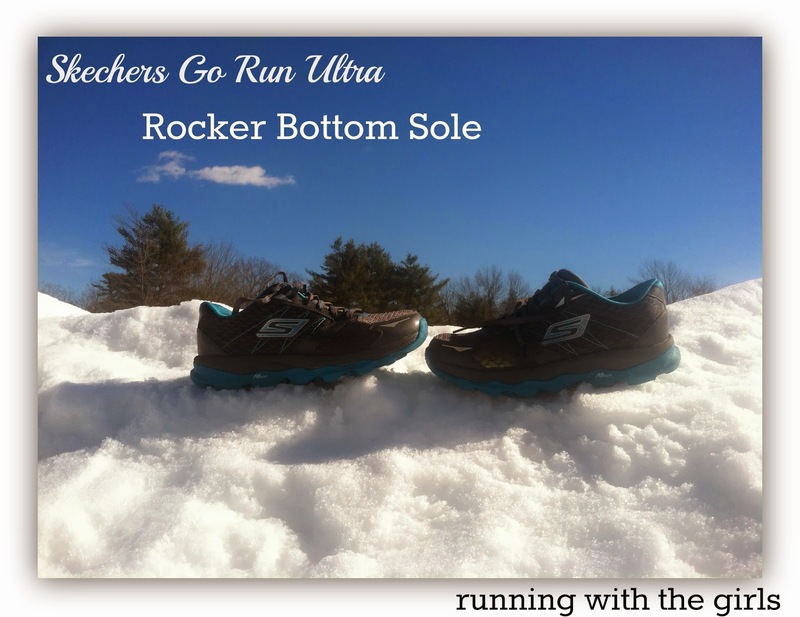 When the Skechers shipment came in at The Rail Trail Run Shop, I had to rush right up there and get him a pair. Sadly, his size didn't come in. So I grabbed a 1/2 size up from his normal size in men's and grabbed a women's size 10. The winner? The women's size 10. They are pink. They are bright pink. I think they are adorable. What does he think? He loves them. He definitely pulls off the pink. There are actually several shoe companies producing pink shoes for men. But, Ward didn't need any justification there. He said if the shoe feels great, does what it wants, then he will wear it. The first day he went out in his shoes, he ran 10 miles in them. Immediately, he came back and said the shoes were fantastic. They had the best amount of cushion for him yet they didn't feel heavy or bulky. They are quite light. Since then he's run in them several times, and he still comes back to tell me how great the shoes are. We actually had a short stay in a cabin on Rangeley Lake and Ward went out for a few miles to run on the lake. No worries. It's super cold here in Maine, no chance that lake is going to thaw out anytime soon. There was quite bit of snow on the lake as well. He was impressed with the traction of the soles in the snow. I've had the hardest time getting pictures of Ward in his shoes. But at least I got a little action footage. The bottom line? I am absolutely in love with these shoes. What do you think? 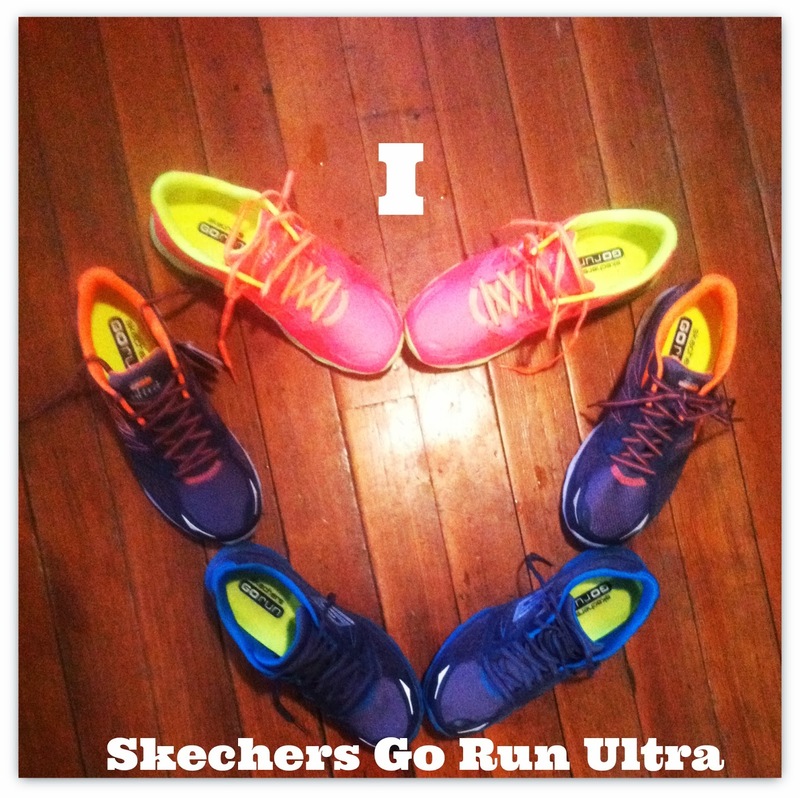 Have you tried the Skechers Performance line? I think I have been very skeptical of them. I have some of the same thoughts you did, kid shoes, "fitness" shoes but not really running shoes. They are pretty I have been checking them out, they can't be all bad since Meb runs in them. Glad to see you have joined up with us! I can't say enough about the brand or the company.. It's been fantastic working with them! Glad you enjoy your ultras! Hi Jen! I´m seriously planning on buying these Ultra, because I LOVE highly cushioned shoes, that's why I decided to read all the reviews I could find since I will have to buy the shoes online (no available here in my town), but I got very confused, many people said the toe box and forefoot in general are very narrow, and others said all the contrary. Based solely on your review, I think they are perfect for me, since you say they are roomy. My forefoot, from side to side, is 10-11 cm (I always wear a size 37 here in Chile, I think it's 7 in US: 24-cm insole). I have many Skechers sneakers and never bought a size up, always my exact size, which fits me right. What can you tell me about the fit in the forefoot area and the toe box? Is it really really roomy? (please say it is!). Also, in spite I know these are primarily running shoes, do you think they are also suitable for training at the gym, and walking? (I spend much time at the gym -TRX, crossfit, zumba, aerobox, cardio, rebounding- and walking really long distances). I really would be delighted to wear those super cushioned shoes when doing those activities. Anyway, thanks so much for your time reading this extremely long comment/question. Thanks! !